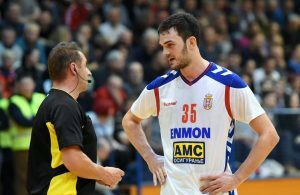 Serbian national player and one of the best European junior in his generation (1986), Petar Nenadic (24) moved to Denmark and his new club, Tvis Holstebro, who finished 8th last season in stron competition of Jack & Jones League. This playmaker began his career in Crvena zvezda, with whom he won three national championships in Serbia. After recovery from serious knee injury he moved to Algeciras – Spain, where he spent just six month and went to F.C Barcelona. In Barcelona, he spent six month (2007/08), after he has to go to second knee surgery. 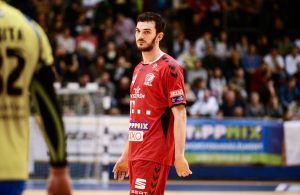 In summer 2088, Nenadic signed contract with Hungarian Pick Szeged and stayed until end of previous season. ← Previous Story Slovenia: League without general sponsor? 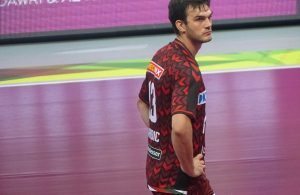 VIDEO: Danke Petar, fogadtatás Nenadic!